Fully immersive simulations are no longer reserved for sci-fi novels. In this article, I’ll discuss how AR and VR technologies will impact the future of eLearning. The gaming industry is already embracing AR/VR technologies to bring players into the action. What does this cutting-edge tech offer online learners in the private and corporate eLearning sectors? Today, eLearning professionals are using it to enhance the realism of eLearning simulations and serious games, but who knows what tomorrow may bring. Let’s explore 7 ways AR/VR technologies will play a pivotal role in the future of eLearning. Today’s eLearning simulations involve a computer or mobile device screen that leaves plenty of space for distractions. Online learners must still contend with the outside world while they are in the virtual one. However, AR/VR technologies will allow them to step inside and fully immerse themselves in the situation. Headsets and audio devices enable them to block out external distractions and deal with the virtual task at hand. There may even be tactile sensors that incorporate the sense of touch. For example, they can feel the tool in their hands or pick up the product. Modern training forces corporate learners to choose between face-to-face and online sessions. There are video conferencing tools that provide a more blended learning experience. However, there is still a disconnect created by the lack of immersion. VR technologies will take it to the next level by placing corporate learners into virtual environments that mimic the real world, such as a training room where they can interact with online facilitators and instructors in real time. This may be in the form of an avatar or, as technology advances, a true-to-life recreation of themselves. In this case, online learners are able to literally walk down their own personalized online training path and interact with online training resources. This is the ideal approach for online learners who prefer a more physical connection with the online training content. Much like an immersive video game, online learners can venture down different paths based on their gaps and goals. For example, an eLearning assessment reveals that they need to work on their problem-solving abilities. Thus, they pick the online training that centers on this area for improvement and online training activities serve as pit stops along the way. They can see the destination as they progress, which provides them with even more motivation. This same approach is also ideal for branching scenarios that involve decision-making paths. Big Data will only get bigger as tech becomes more advanced. For instance, AR/VR technologies will feature more detailed analytics to track every move of the online learners. They may even be able to determine their emotional state and their level of alertness via sensors. More insightful analytics will also help eLearning professionals gauge online learner engagement with greater accuracy. Thus, provide more personalized learning materials to enhance the benefits. Bigger Big Data translates into more powerful eLearning experiences that meet online learners’ expectations and help them achieve personal goals, which equates to better online training ROI for your organization. In today’s online training environments, online learners must use Project Management online platforms, video conferencing tools, and social media to engage with peers. In the future, they may be able to come face-to-face with fellow corporate learners and break down the current tech barriers. For example, create a virtual meeting space where they can collectively solve problems and create online training presentations. VR headsets will allow them to work together in real time and even interact with objects, such as 3D models and other online training tools. This also enables online learners to participate in VR role plays that build communication and interpersonal skills. Online learners participate in eLearning simulations, branching scenarios, and other qualitative eLearning assessments in the VR environment. The software records their performance and tracks the results. Upon completion, they have the chance to view the playback and see where they went wrong and identify their strengths. For example, they missed a crucial step in the process. The system shows them how to correctly perform that portion of the task and allows them to retake the eLearning assessment. They immediately learn from their mistakes and reinforce favorable behaviors instead of memorizing incorrect ones due to delayed feedback. You can also use serious games to assess their knowledge and skills in a subtler way, and enhance the entertainment factor. Speaking of games, AR/VR technologies are sure to play a prominent role in the future of gamification. Not just in the case of serious games. These technologies will allow online learners to earn tangible badges and physically advance up the leaderboard. One of the downfalls of modern gamification is that it involves virtual rewards. Online learners are able to receive points or credits but they cannot actually interact with the rewards or hold them in their hands. AR/VR technologies change all that. They make incentives real and motivate online learners to do their best and achieve their potential. They can even walk down a virtual game board to move to the next level or put points into a VR piggy bank to keep track of their progress. It’s the next best thing to gift cards. In fact, it may even be better, as your organization won’t have to foot the bill for monetary rewards. AR/VR technologies impact eLearning in numerous ways. 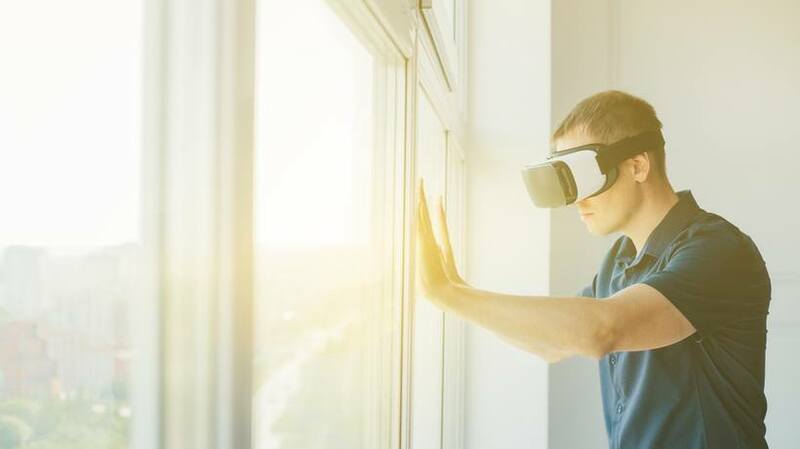 Augmented and Virtual Reality may be in their infancy, but there’s no telling how much they will transform the eLearning industry as we know it. Online learners may have the chance to step into historical settings or reach out and touch work tools in order to build experiential knowledge. They will engage with peers, attend online training sessions, and receive one-on-one support from the comfort of home. What is AR/VR’s true potential for online training? 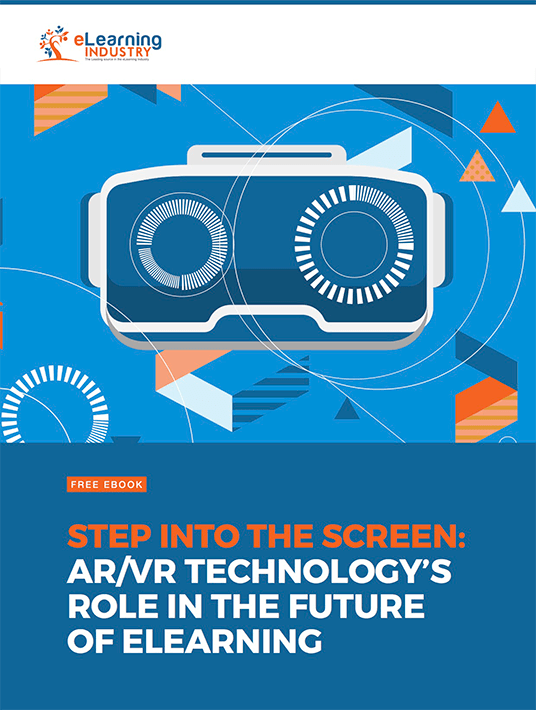 Download our free eBook Step Into The Screen: AR/VR Technology's Role In The Future Of eLearning to learn how to integrate AR/VR into eLearning courses and some of the best practices to create online training courses with AR technology.